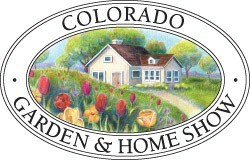 Metamorphing Interiors was selected to staged the Metrolist booth for the 2012 Colorado Home and Garden Show. Metamorphing Interiors is an active member of the local YPN chapter which holds social, volunteer and educational events for REALTORS and Affiliates on a regular basis. Visit Metamorphing Interiors and the Colorado IRIS Chapter at the Rally! Our chapter meets the third Wednesday of each month at various locations arouond Denver that help support and educate stagers and their businesses. 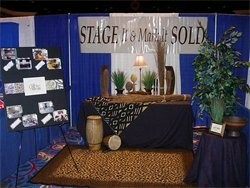 Certified home stagers and redesigners are encouraged to visit our chapter. I will be participating in the ‘Staged to Sell' competition at this years Realtor Rally. Furniture sponsors will provide furniture and accessories for 8 local stagers to interpret. Click here to read the participants interviews. I chose to design with clean lines, while keeping the colors connected. See the tree and donation house Metamorphing Interiors built for this years Realtor Rally Booth! The booth made a huge impact for the foundation and raised money to support their causes. Visit me at the I.R.I.S. (Interior Redesign Indusrty Specialist) booth. I.R.I.S. (Interior Redesign Industry Specialist) is the international association for stagers and redesigners. The Confrence is open to certified and non-certified persons interested in the design industry. I created an Italian themed tablescape that took 2nd place in the chef demonstration tent. Goodwill gave six participants a $40 giftcard to Goodwill stores that were used to purchase all decorations for the table. Thank you for your votes, the winner was awarded the complete set of decorations.